A cup of coffee forms a crucial part of many peoples’ morning as well as daily routines. However the morning ‘cuppa Joe’ is not a firm favourite for everyone, and that may have a lot more to do with just personal preference and taste. For some, a cup of coffee provides the welcome and essential boost needed to get through the day. For others however, even the smallest amount of caffeine found in coffee can cause a serious case of the jitters or a night destined to be sleep-less. Why does caffeine affect some, and not others? As it turns out – the answer could very well lie in your genetic makeup. According to Marilyn Cornelis, a caffeine researcher at the North-western University in Chicago, Illinois, the research team have found that “[humans] have built-in genetic factors that help us with self-regulating our caffeine intake”. Caffeine is a popular chemical that is found in many products – predominantly coffee, tea, energy drinks, soft drinks and guarana to name a few. Its most common use is in order to encourage mental alertness. However it has many other uses too including weight-loss purposes, as well as an aid for painkillers, an assistant for low blood pressure and as a regulated stimulant for athletes. Caffeine is also used in high doses, in combination with ephedrine as a substitute for illegal stimulants. Caffeine helps with mental alertness by stimulating the central nervous system, which in turn stimulates the heart, blood control centre and the muscles. 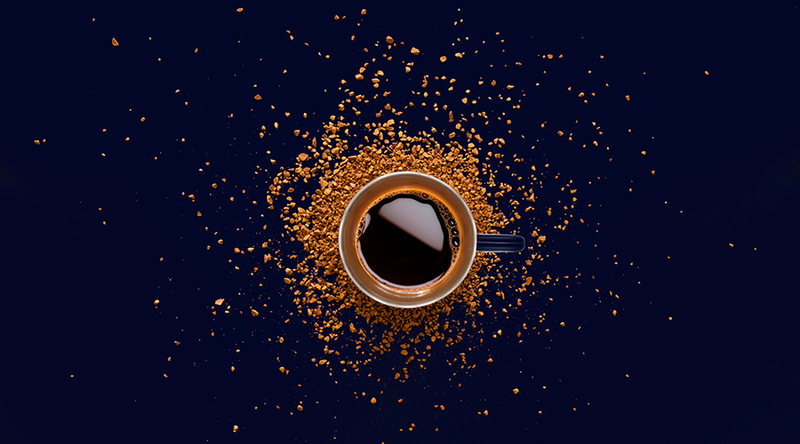 Caffeine can affect its consumer in multiple ways – for some people it can increase blood pressure and urine flow, but in others it has a much less noticeable effect. This can be attributed in part to the person’s caffeine tolerance i.e. a person that consumes caffeine regularly will experience fewer effects of the chemical on the body. A caffeine tolerance that was developed through the consumption of a daily cappuccino can easily be undone by cutting out caffeine-filled substances. If you are part of the population that suffers from caffeine-induced insomnia, nausea or anxiety then that might have something to do with your genetic coding, particularly a very specific nucleotide, or rather a single DNA strand that contains the A, G, C & T of the ‘genetic alphabet’. When it comes to processing caffeine in the body – your metabolism does most of the heavy lifting. Two genes are responsible for metabolizing and controlling how the chemical circulates around the body. These two genes are: CYP1A2 which has the job of producing the liver enzymes that metabolize almost 95% of the caffeine in the body, and AHR controls how much. Someone who isn’t able to metabolize caffeine quickly or as effectively as the next person, is likely to consume less caffeine-based products due to the effect they have on the body. Another gene known as ADORA2A is responsible for influencing the brain’s reaction to caffeine in the body by substituting itself with the adenosine receptors (responsible for drowsiness and slower cognitive functions in the body) in order to combat natural energy-slumps. Interestingly, our genes can even be held (somewhat) responsible for how coffee or caffeine tastes to different people through their ‘bitter-receptors’. Whether you’re a caffeine addict or a caffeine fiend, listen to your body because the body knows best and maybe that morning cup of tea would be better.